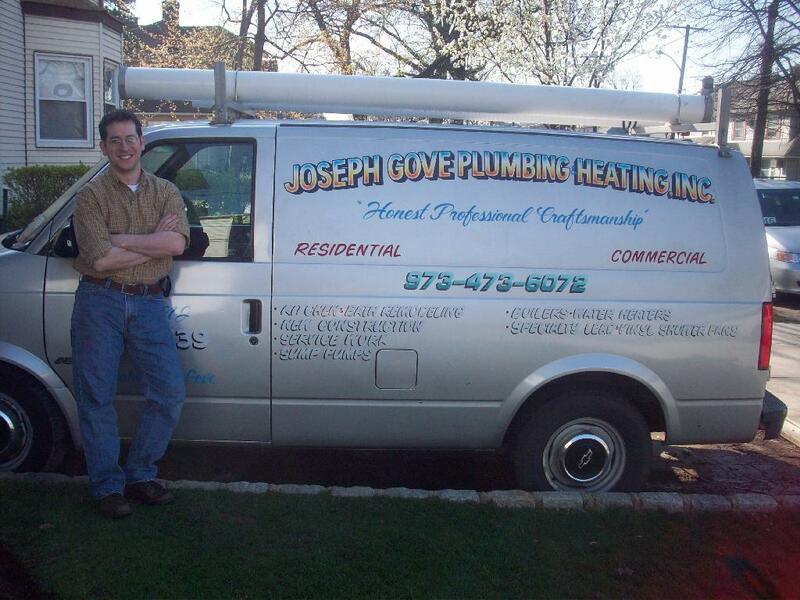 Joseph Gove Plumbing & Heating, Inc. is family owned and operated. All the arrangements and scheduling take place in the Passaic, New Jersey office (Northern New Jersey) and customers are able to be in touch with us while we are on other service calls and job sites. When you call us, we promise to get back to you in a timely manner. However, we "ain't gonna work on Saturday" but we do offer you quality work, a wide range of services at fair prices. Please note that "Yossie" Gove is Shomer Shabbat and the business is "officially" closed from sundown on Friday until sundown on Saturday due to Jewish/Orthodox Sabbath observances. For those needing emergency assistance, Joseph has workers on call to assist you. (They are paid the full amount directly for all services on the Sabbath and Jewish holidays). However, Joseph himself is happy to field any of your emergency service needs on Sundays. Joseph Gove is a licensed and certified master plumber and registered home improvement contractor in New Jersey. Enjoying his work Joseph is very passionate and concernted about quality control in the plumbing trade in particular and the overall construction trades in general. He belongs to the PHCC - Plumbing-Heating-Cooling Contractors Association (www.phccweb.org) and the New Jersey League of Master Plumbers, believing that "What you put in, is what you get out. What you sow, is what you grow. What is returned is based on what is invested ..." (you get the picture). Joseph Gove, having a strong belief in customer service and being able to help his customers with any and all concerns works flexible hours to be available at his customers' convenience. His customers frequently call him for advice and references for other reliable and quality-oriented individuals in the other construction trades. Joseph Gove Plumbing & Heating, Inc. is dedicated and committed to helping you with all your plumbing and heating needs. Joseph Gove is highly community-oriented as is apparent from the large pro-bono service work he does for his local schools, synagogues and the greater community in Passaic, New Jersey. Joseph “strives to be as good a plumber as he is a husband and father.” He oversees every job from small to large to ensure quality control and the highest level of service satisfaction. While competitors, at times, tend to use products of inferior quality to increase their profit margins, Joseph Gove believes in only using the highest-rated products in the industry at all times --from the smallest washer to the largest boiler. "I don't know many who can say this but I truly enjoy my work; meeting new people, going to new places and trying my best to help everyone I can while making an honest living -- it's a great way to live life." We are happy to address your questions by phone (973) 473-6072 or e-mail, goveplumbing @ optonline.net.